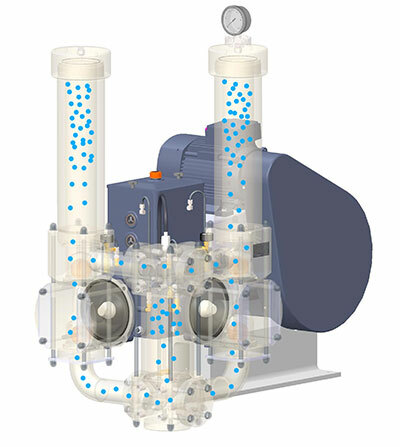 As with all oscillating piston machines the pulsation strokes are unavoidable due to the crank gear and the inertia of the masses of the accelerated fluid columns. 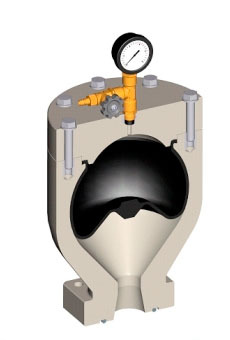 The easiest way of pulsation dampening is by feeding air into the feed flow by means of so-called air vessels. 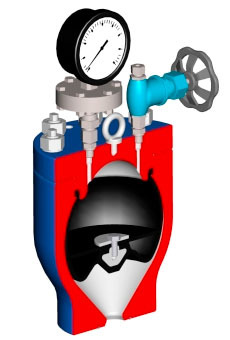 Alternatively, the installation of diaphragm pulsation dampeners is useful, especially if the pump operates at high pressures.